I had to share a delightful report from the radio show Studio 360 in which Khrista Rypl looks at the cultural aspects of African textiles. She writes, “African textiles are distinctive for their vibrant colors, bold patterns, and batik dyes that give the fabric a unique crackled texture. 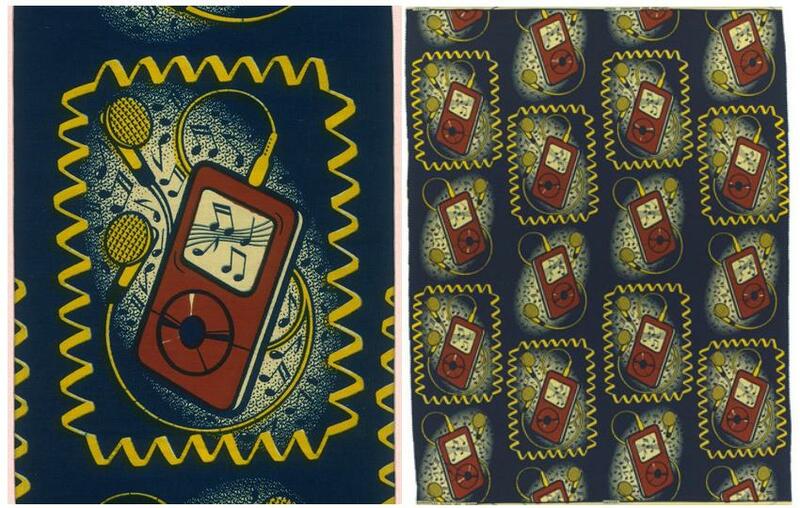 But I had no idea that some of the trendiest of these prints are actually designed and produced in the Netherlands by a company called Vlisco. 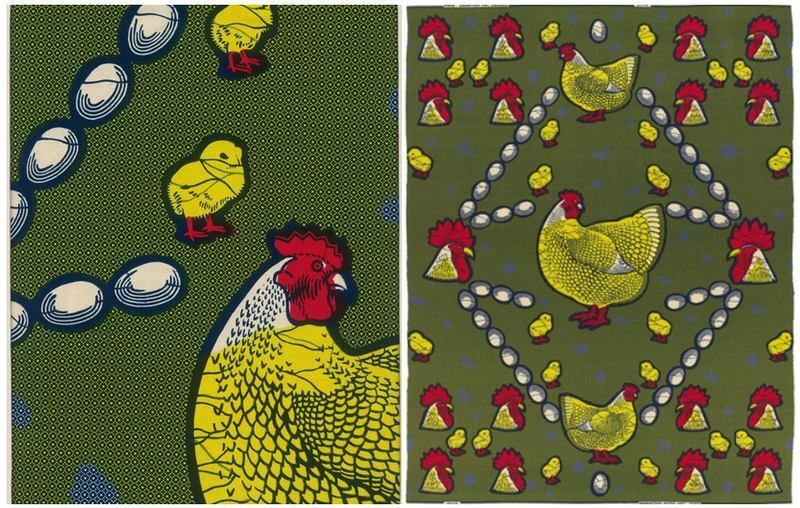 More designs and more of Studio 360 report, “Textiles Tell a Cultural History,” here. This is so interesting–the symbolism seems pretty clear-cut and funny–I love the roosters eyeing the chickens and alllllll the eggs! I suppose, if we looked at trends in fabrics here, we’d see shifting trends, too, that would communicate meaning, if in subtler ways. I knew that African textiles were colorful and topical, having seen pictures of women wearing dresses covered with airplanes. But I was surprised to learn that so many popular designs were made in Europe.